Do you have heavy duty pressure washing needs that must be accomplished on a daily basis? Are you the owner of a landscaping or home care business that is looking for an affordable way to add a new service for your customers? The Simpson PowerShot PS4240-S, powered by a Honda engine, offers 4200 PSI of power that will give you a cleaning capacity that reaches above 15000. In return, you’ll have clean surfaces and a greater impact on every chore that needs to be done. It’s priced below $1,000 right now on Amazon. What Are the Features of the Simpson PowerShot PS4240-S? 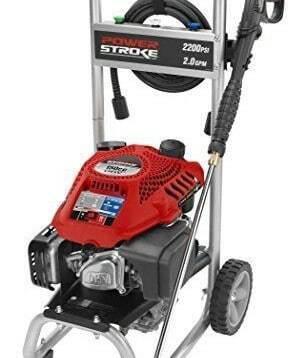 We really loved the spray hose that comes with this pressure washer. It is also of commercial quality and has a steel-braided construction that won’t mark up your home or property and won’t kink up on you either. It’s abrasion resistant as well, but it isn’t heat resistant, so keep it away from the engine if you’ve been running the pressure washer for awhile. Here are some of the additional features you might want to consider with the Simpson PowerShot PS4240-S too. 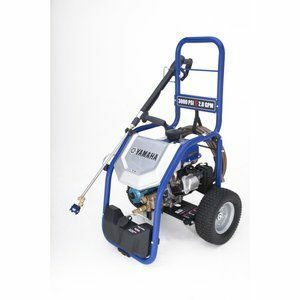 The frame of this pressure washer is made from a welded steel and offers a steel engine plate and a solid steel axle for greater overall stability. PowerBoost technology is included with the spray wand, enhancing the amount of pressure that can be experienced at the nozzle for a more effective cleaning performance. 5 stainless steel nozzles that range from 0-40 degrees are included for better PSI management. 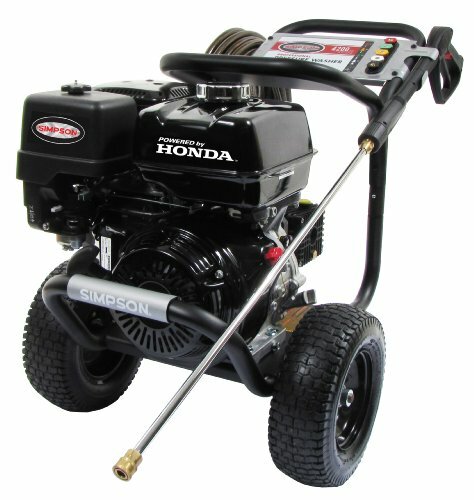 The Honda engine is what takes the experience of using this pressure washer to a new dimension. 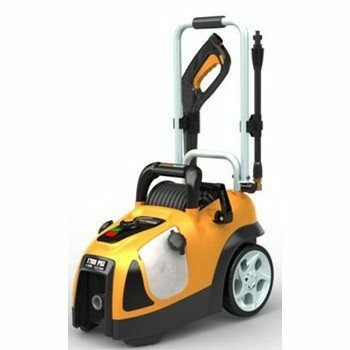 It is relatively quiet for a gas-powered unit, offers a consistent performance, and it has been paired with industrial triplex plungers for an outstanding durability. Why Choose the Simpson PowerShot PS4240-S? This is not the pressure washer for the average home. If you just want to wash your vehicles, clean your sidewalks, and maybe get rid of some deck stains, the Simpson PowerShot PS4240-S is overkill. Any pressure washer above 3300 PSI is not recommend for vehicles or even for power soaking. 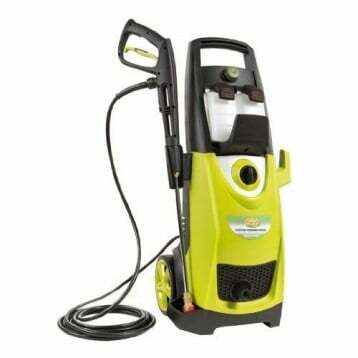 What you can do with this pressure washer, however, is eliminate stains, do paint prep, and clean away stubborn mold and mildew that can build up. 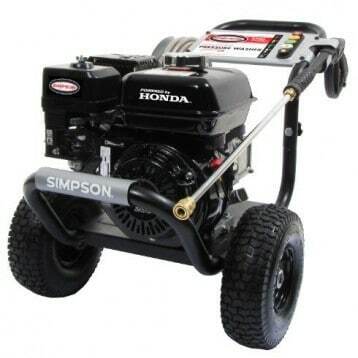 We cannot stress how important it is to make sure that your Honda engine has proper oil levels before using this pressure washer for a long period of time. The engines on this model have a history of destruction and simply filling up the oil upon receiving it isn’t always good enough. We recommend filling the reservoir, allowing the the oil to settle for 24 hours, and then checking oil levels again. Many users are going to find that the Simpson PowerShot has all the power they need to get almost any heavy duty job done right the first time around. 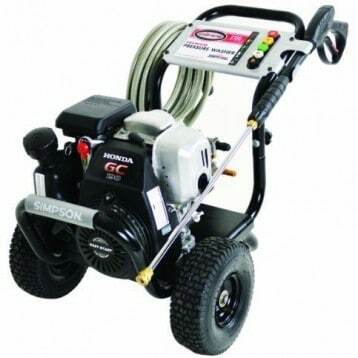 If you need a commercial quality pressure washer, then we have no hesitation in recommending this one to you. Click here to view pricing on Amazon and find an awesome deal on the Simpson PowerShot PS4240-S Powered by Honda.